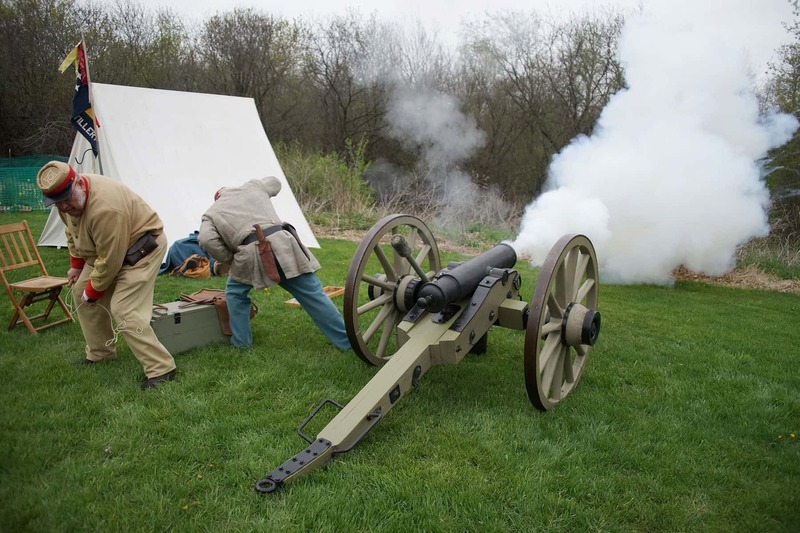 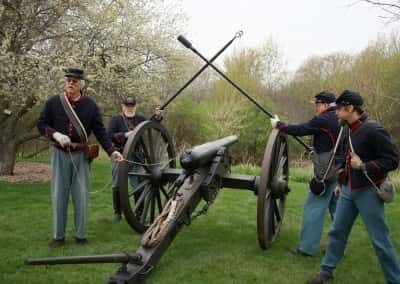 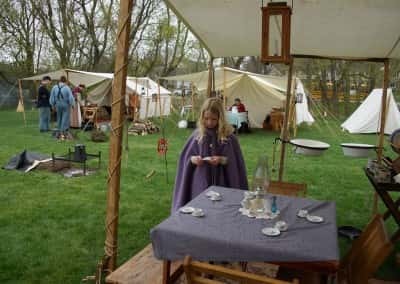 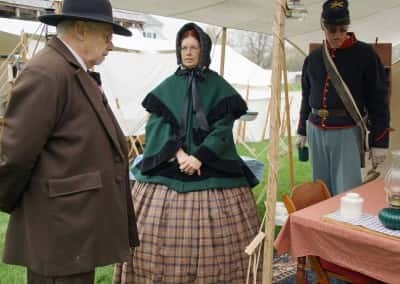 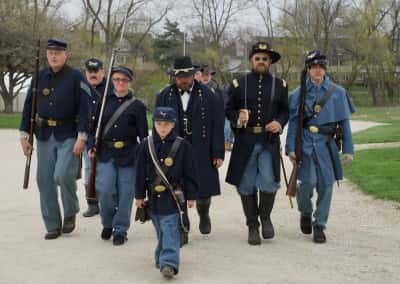 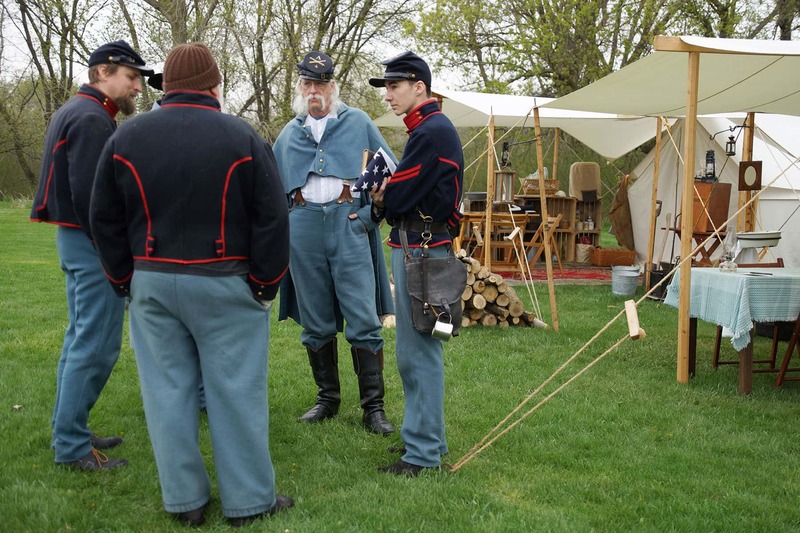 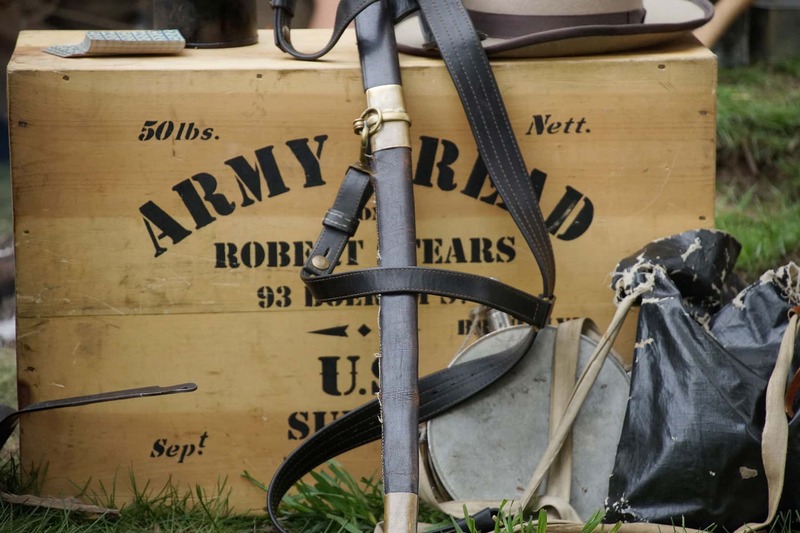 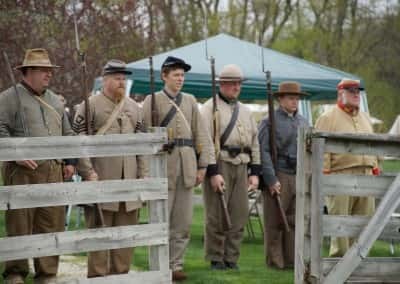 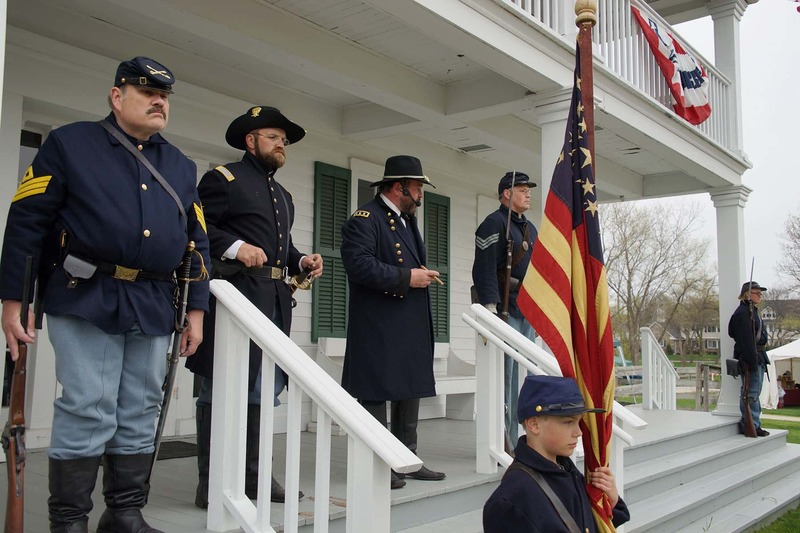 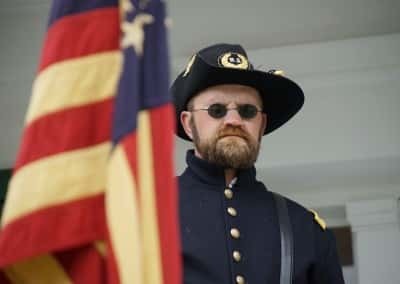 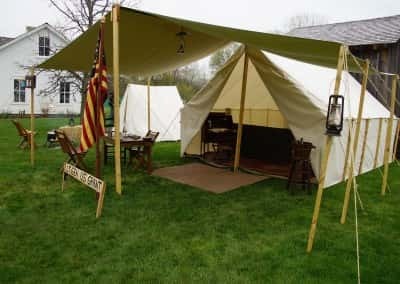 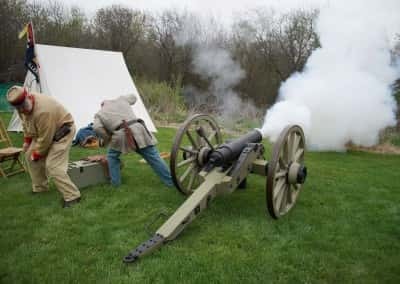 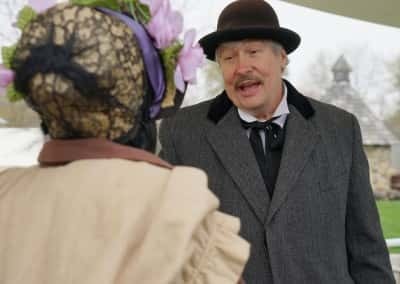 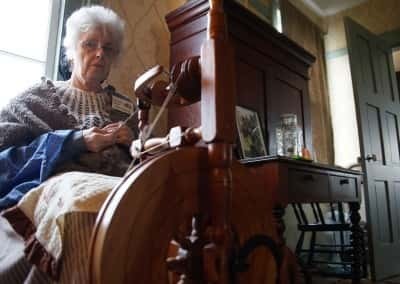 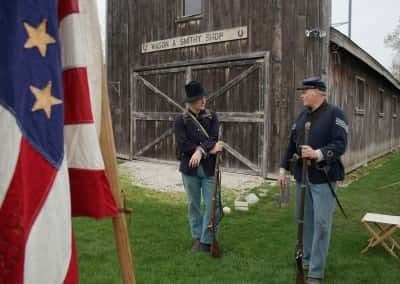 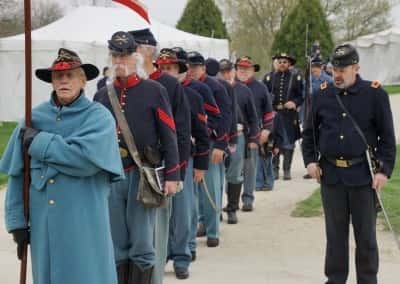 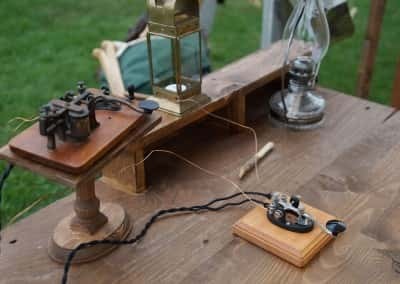 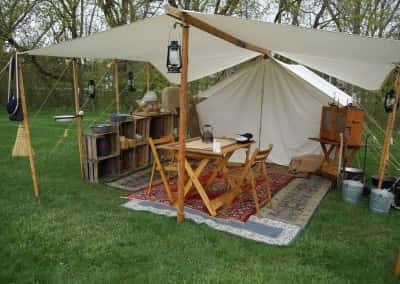 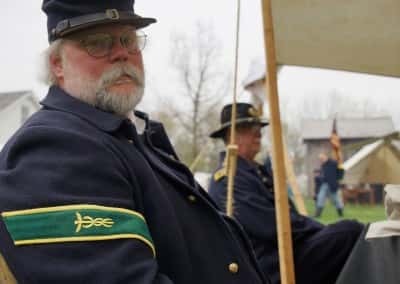 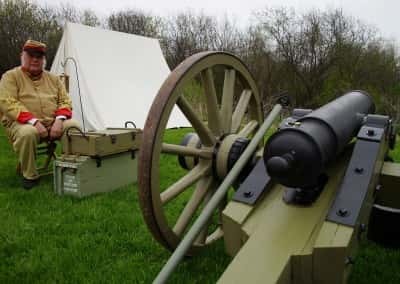 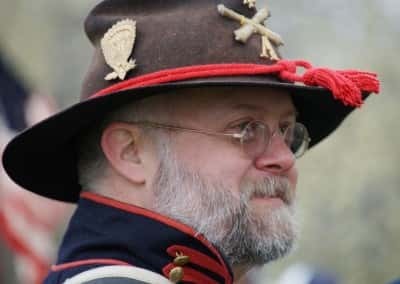 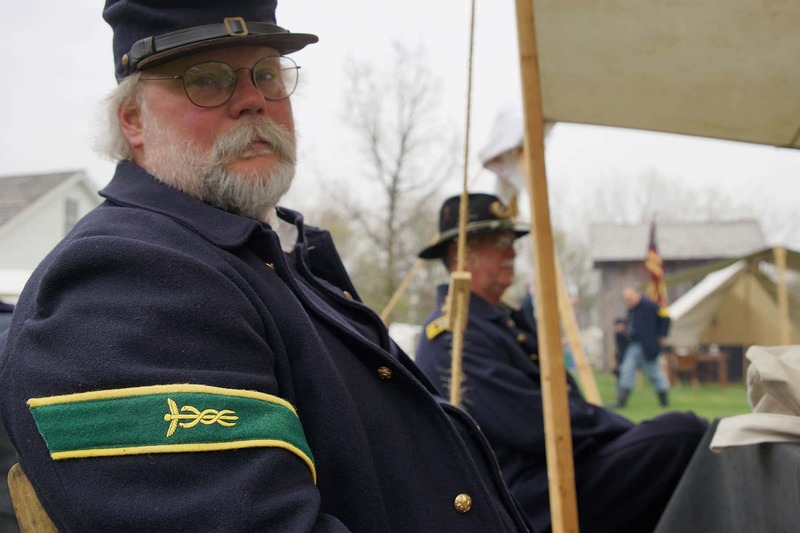 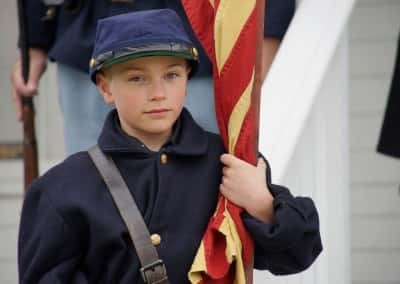 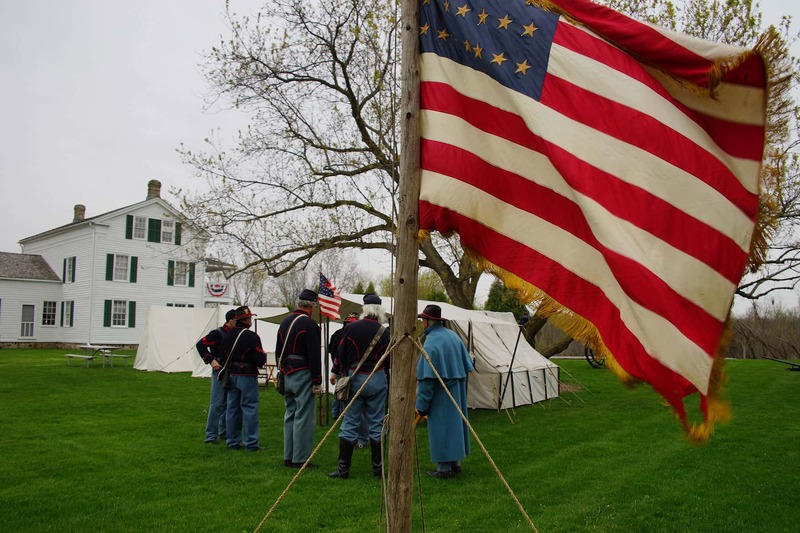 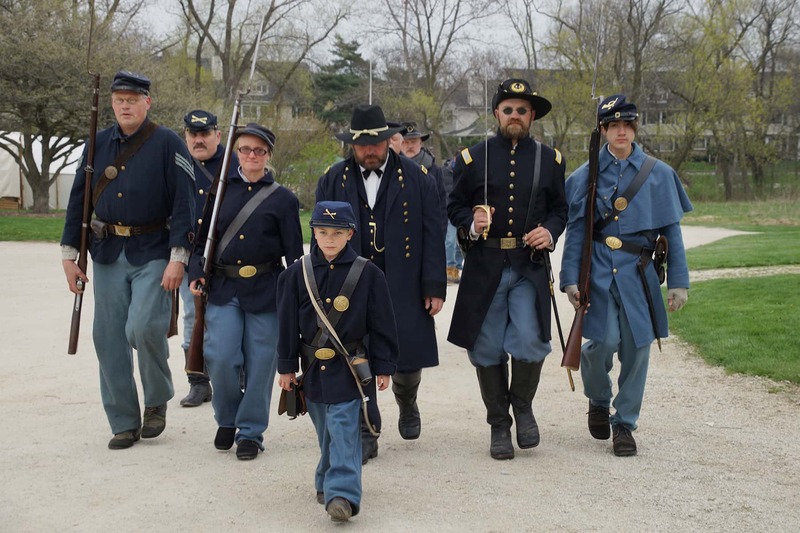 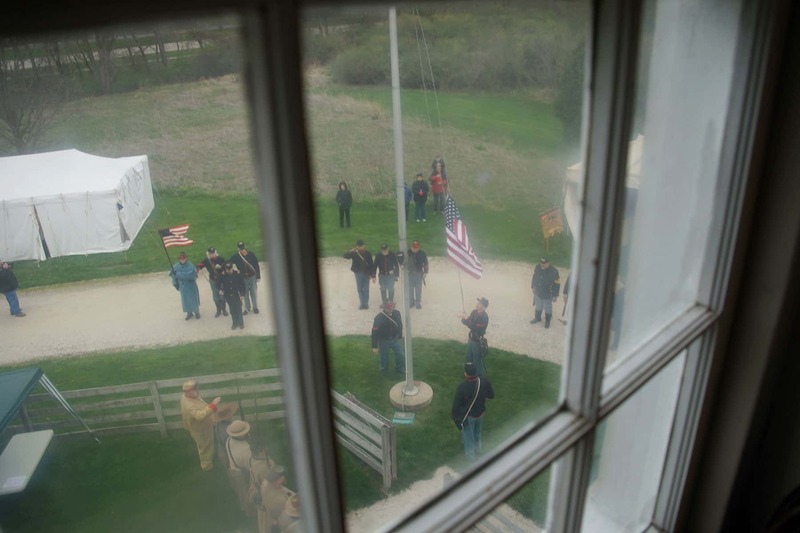 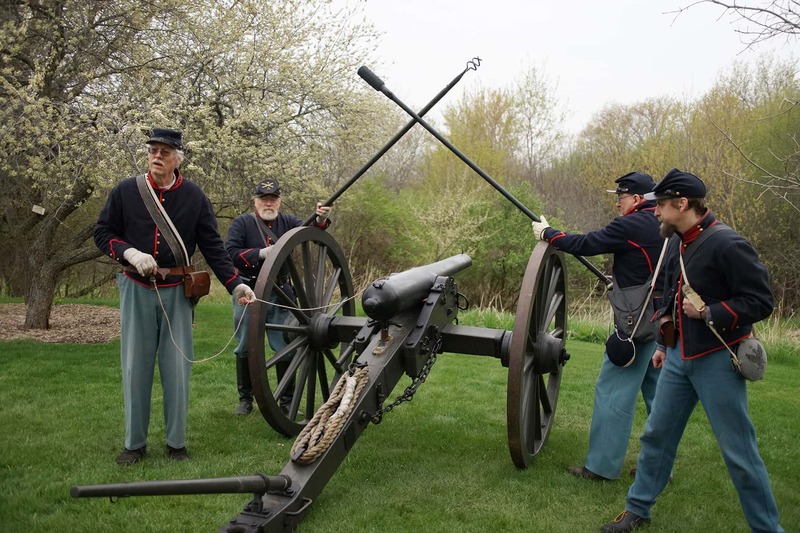 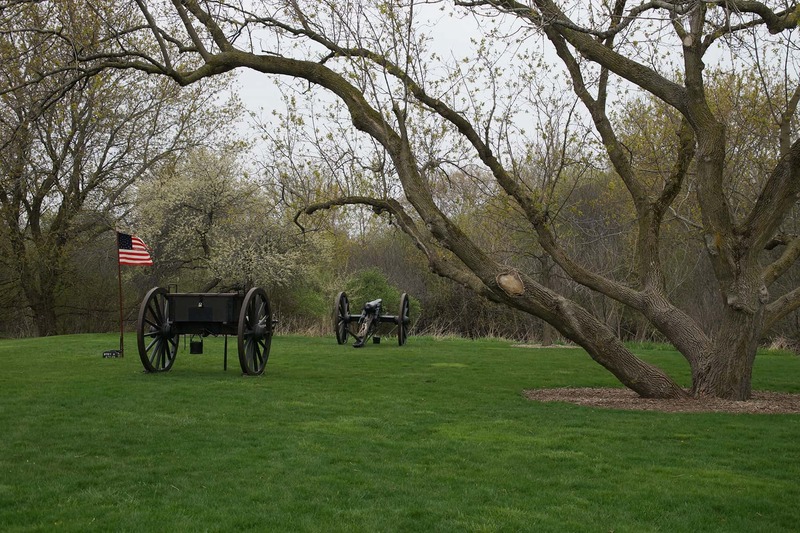 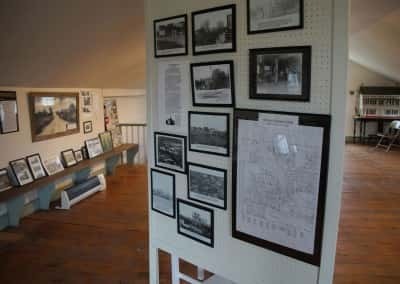 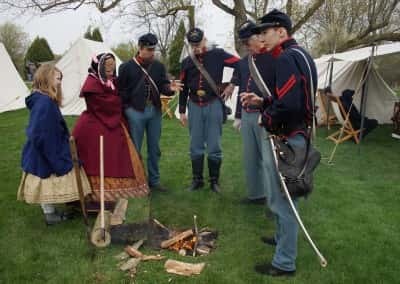 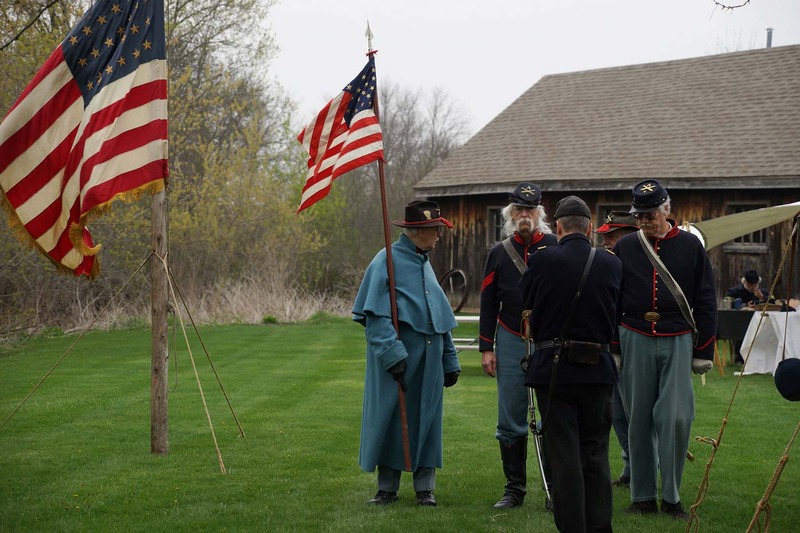 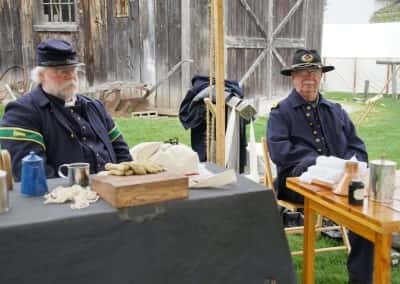 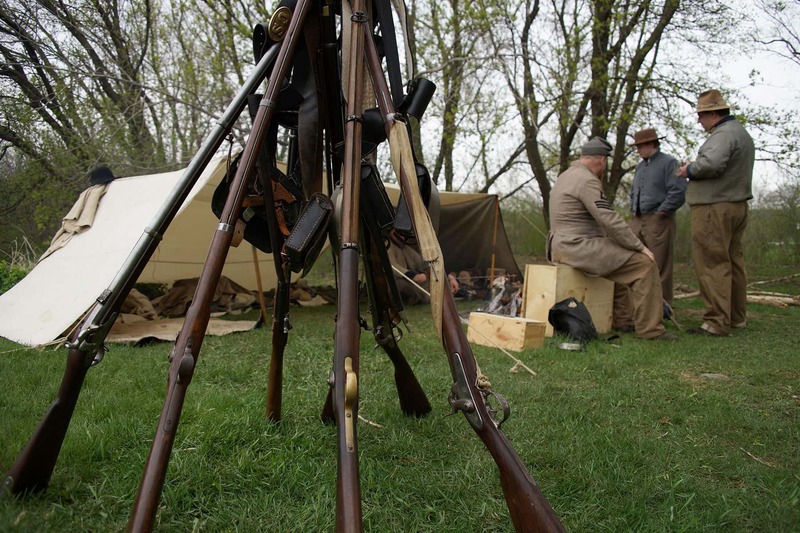 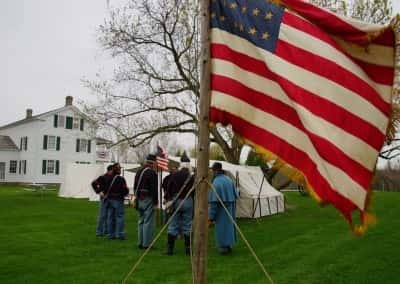 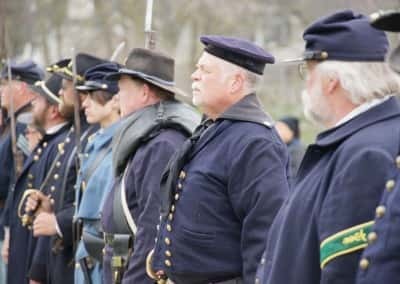 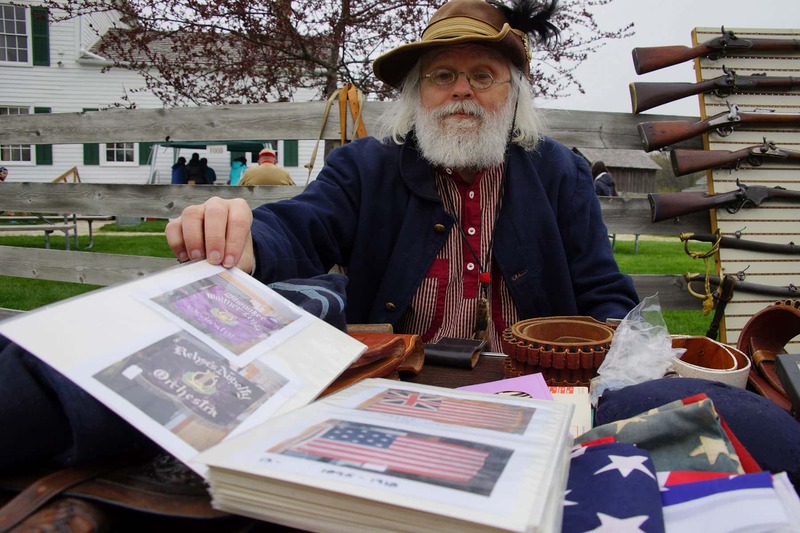 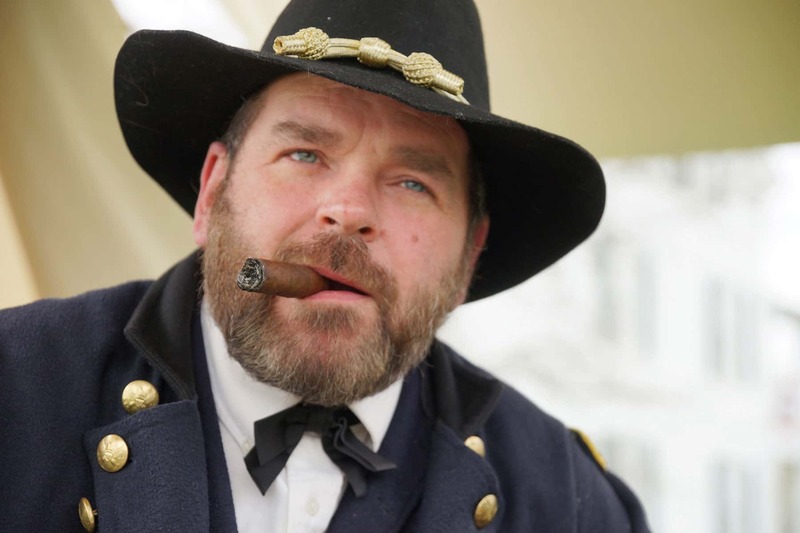 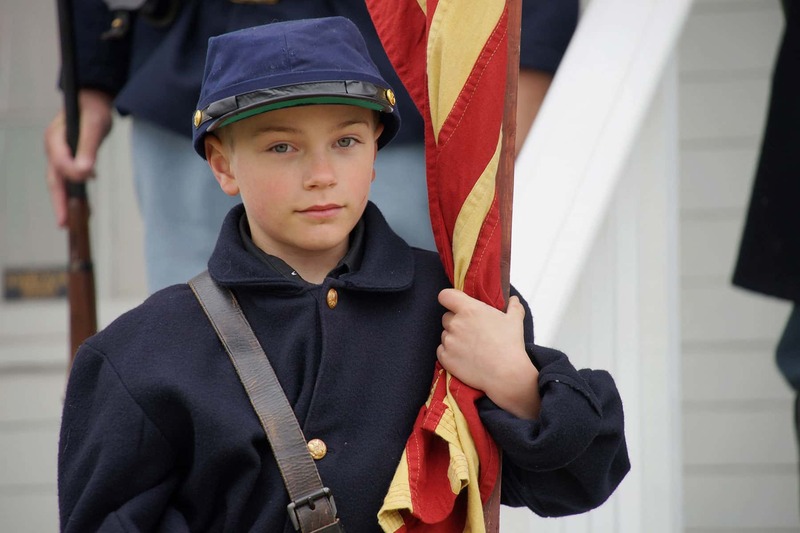 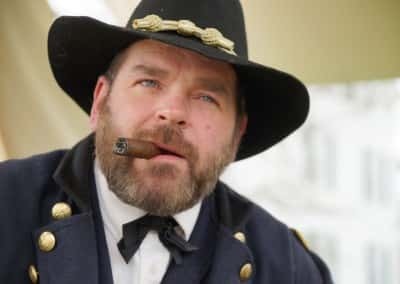 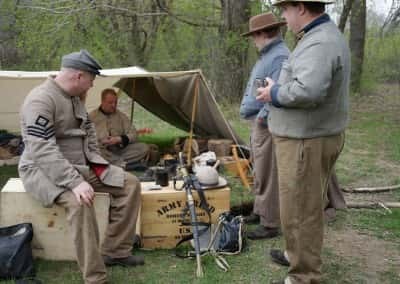 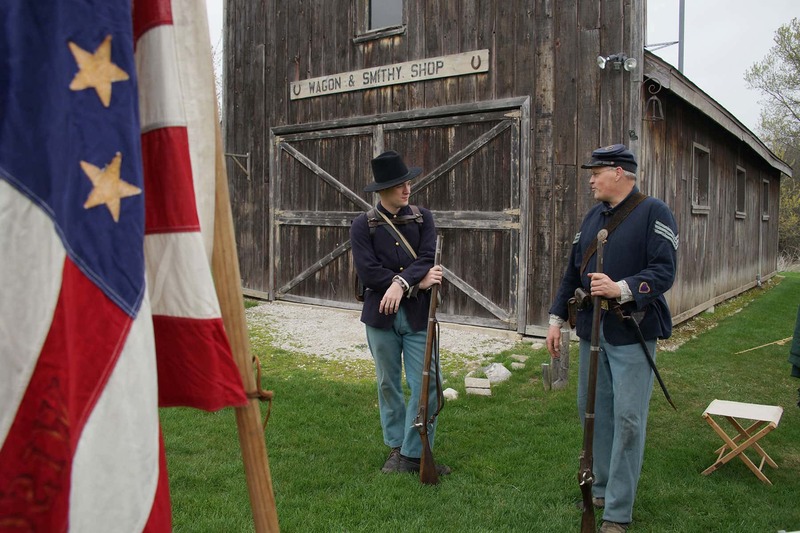 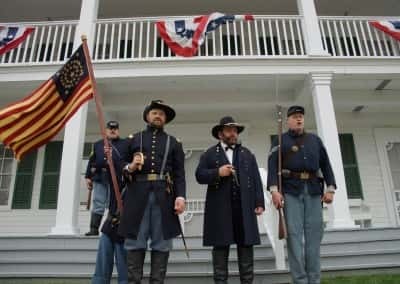 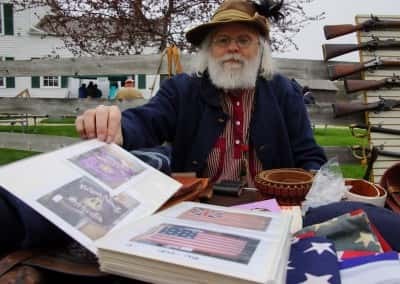 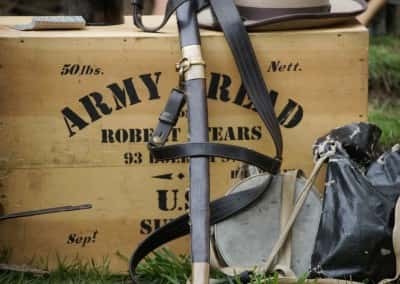 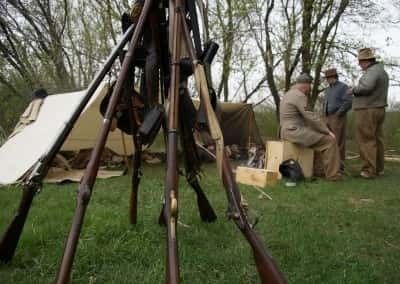 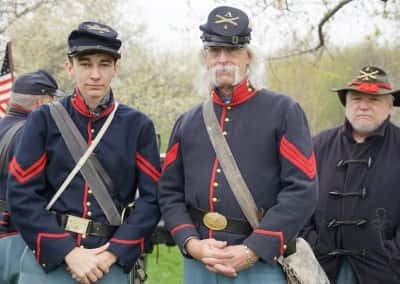 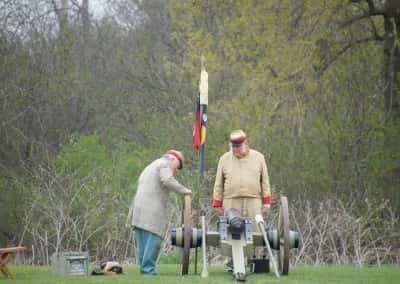 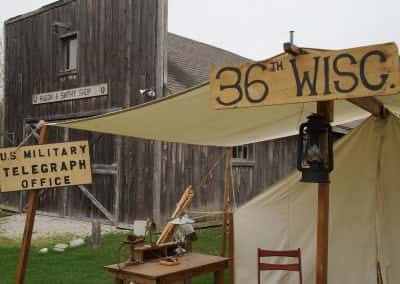 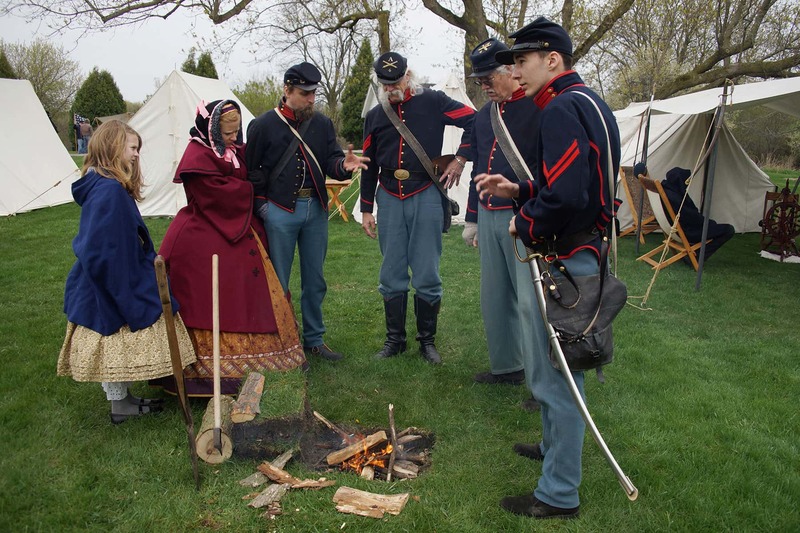 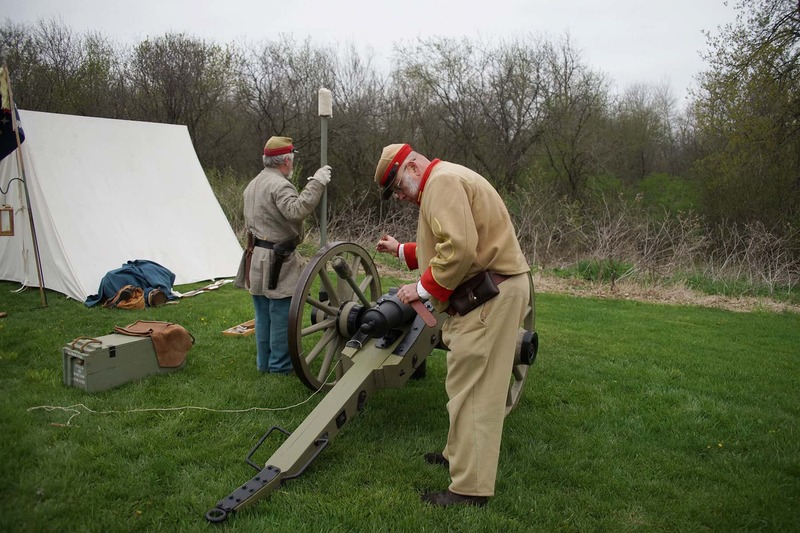 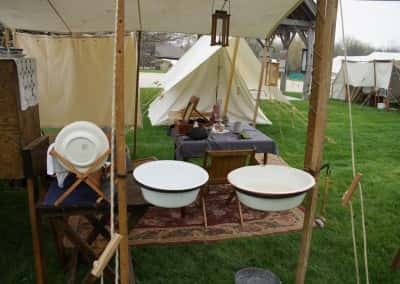 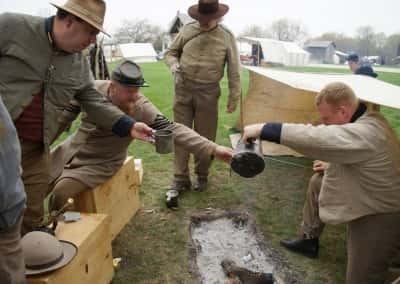 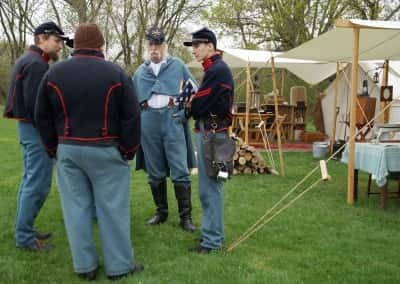 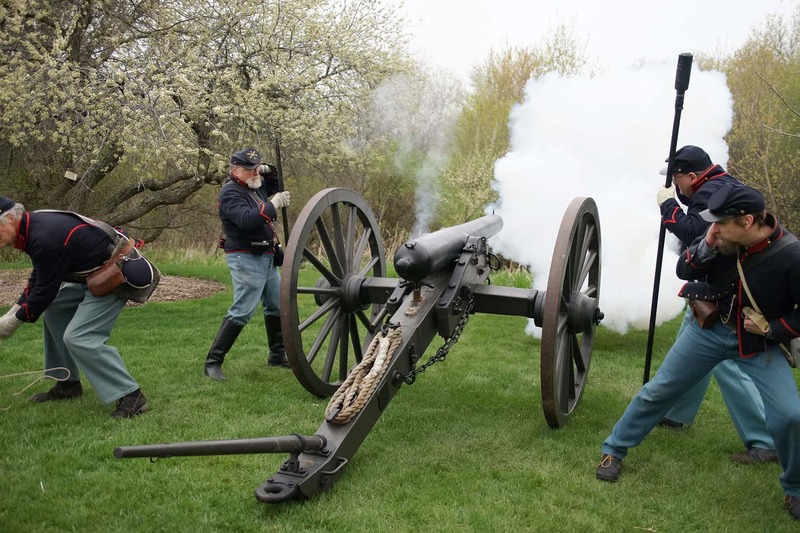 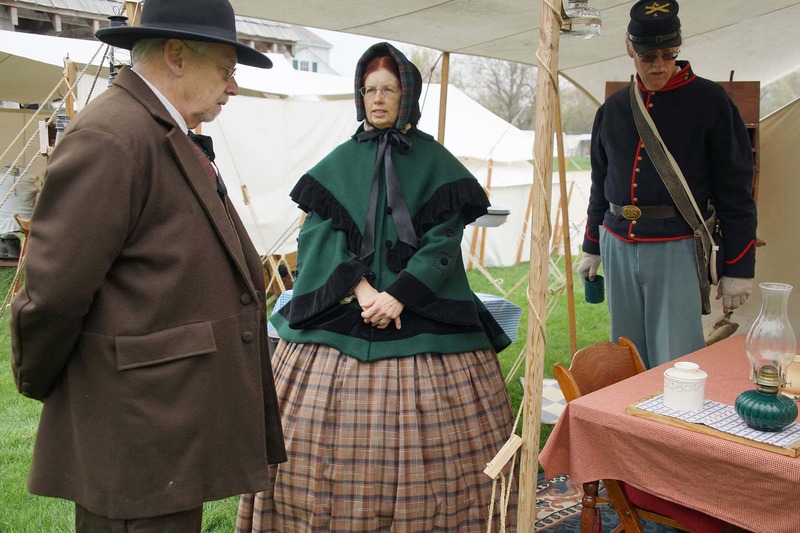 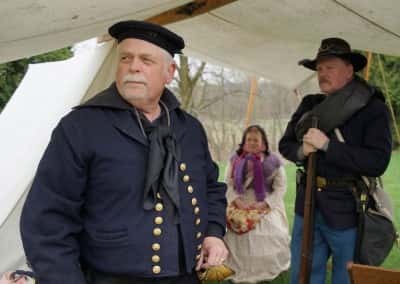 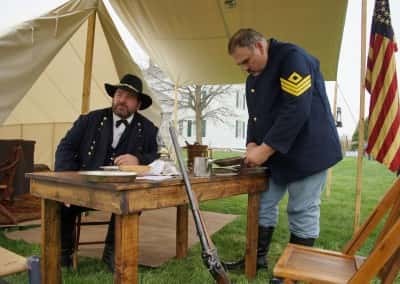 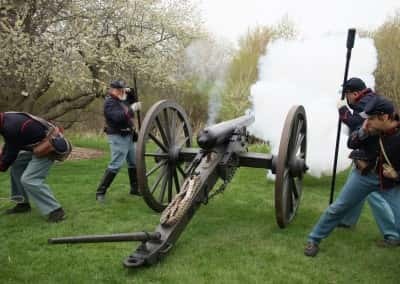 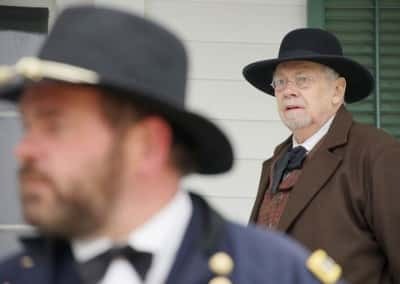 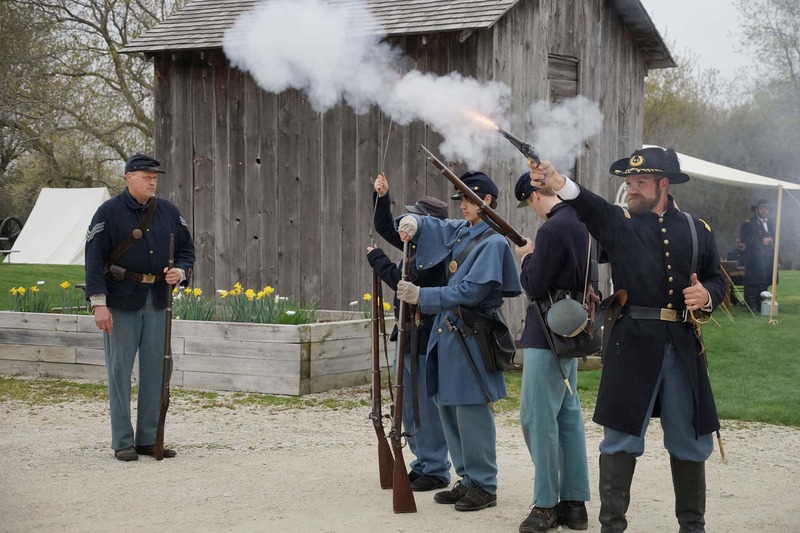 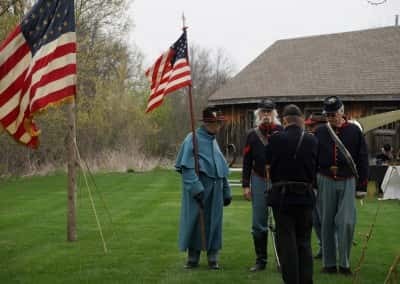 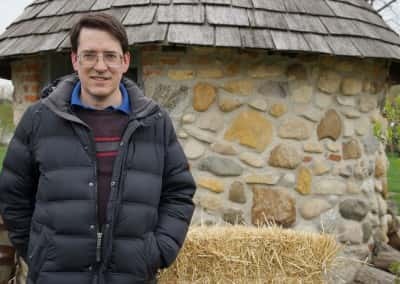 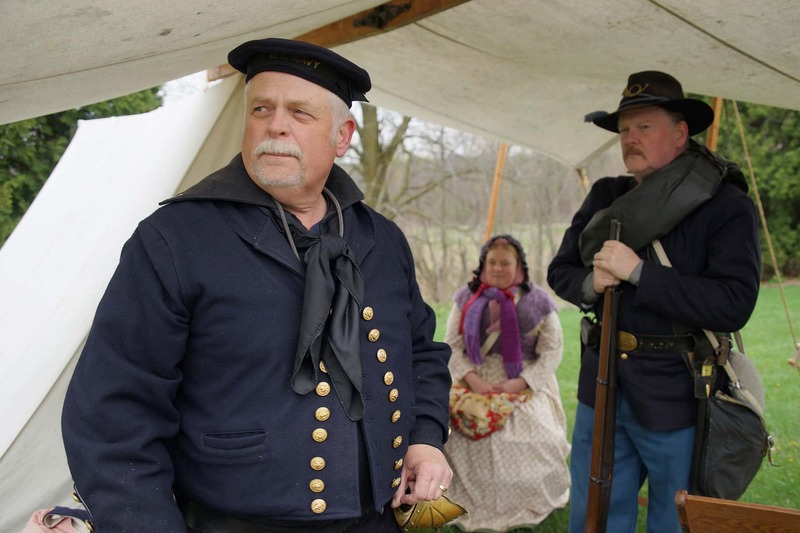 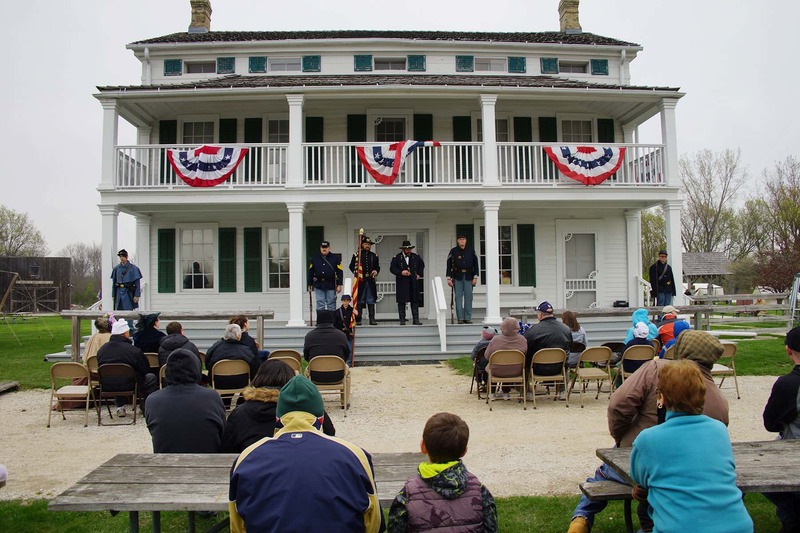 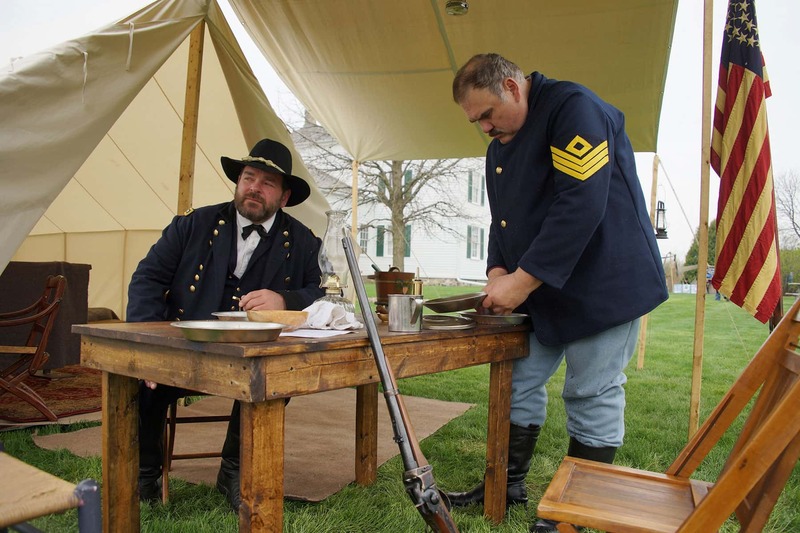 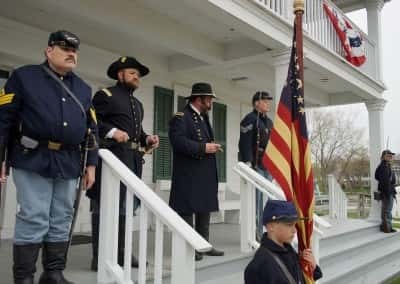 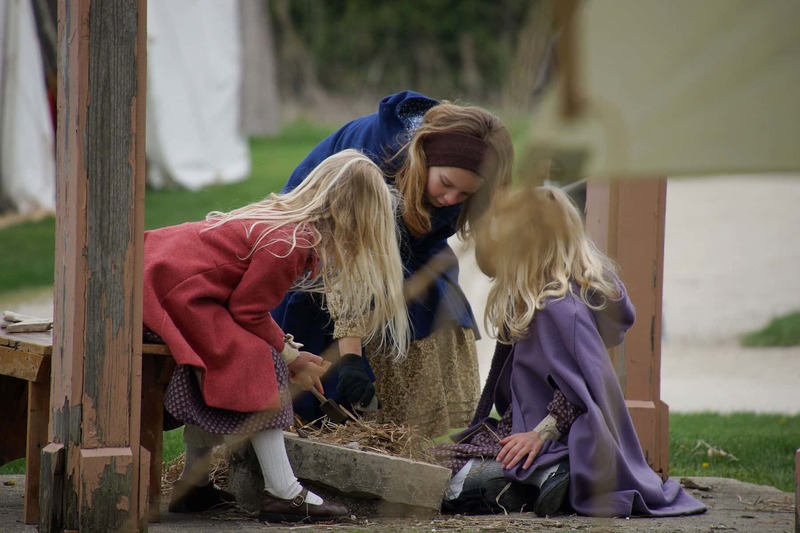 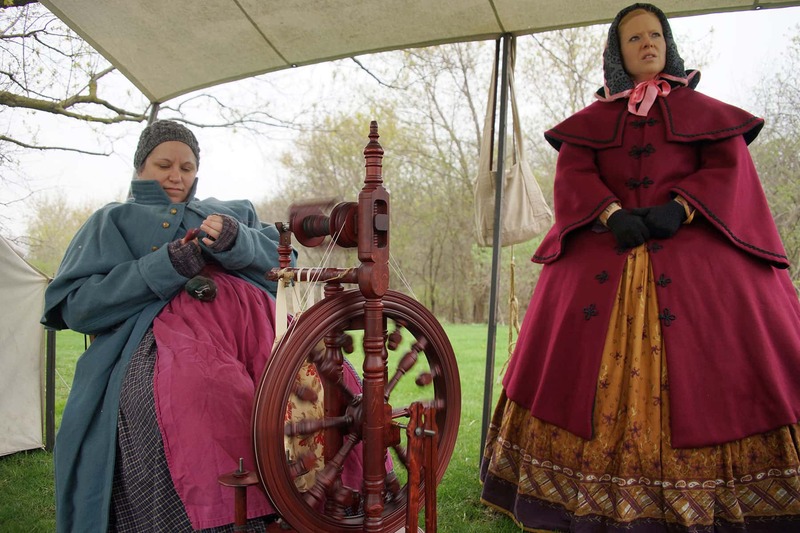 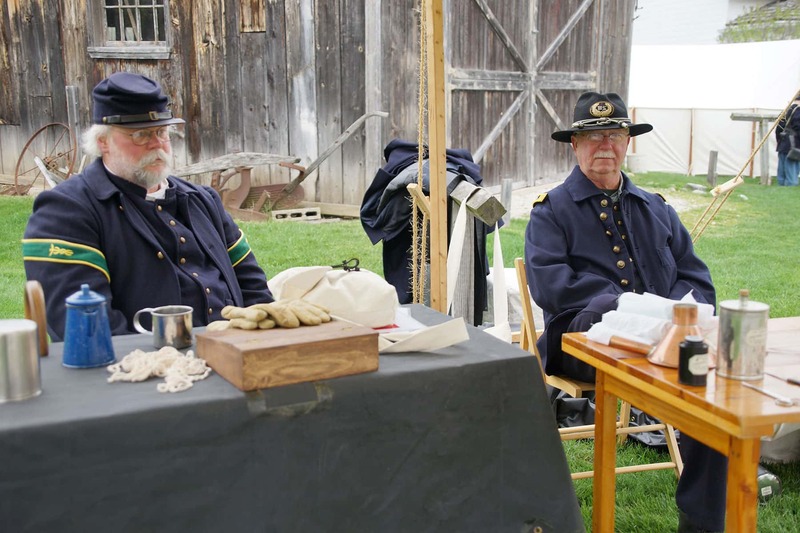 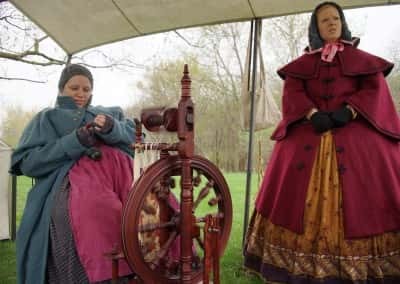 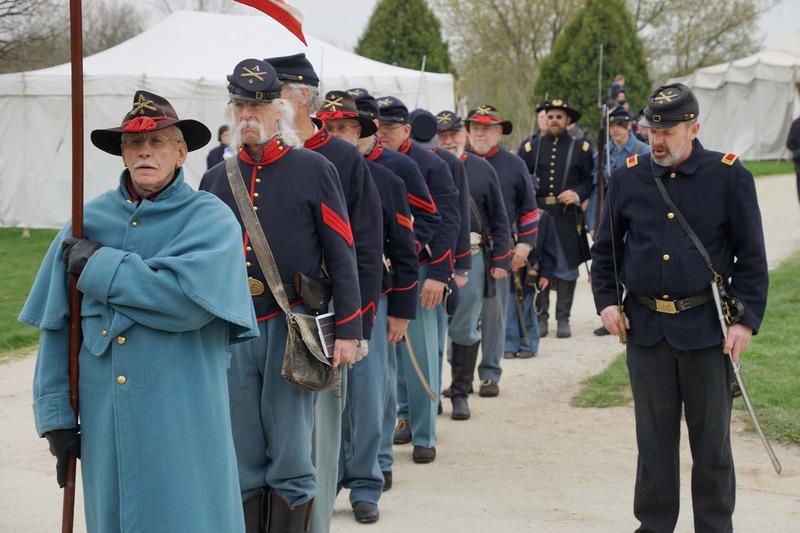 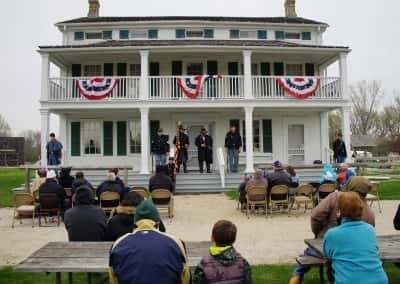 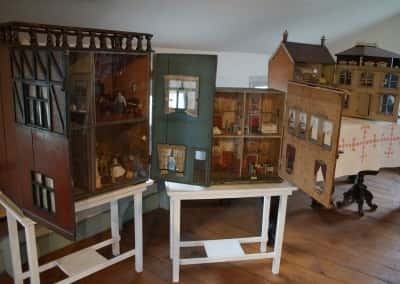 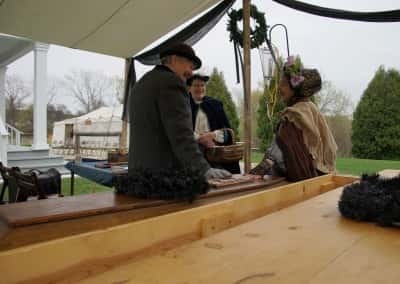 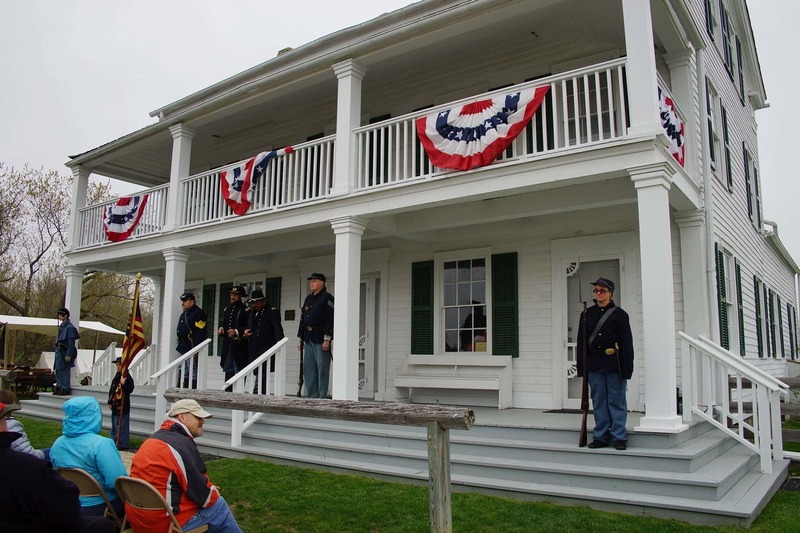 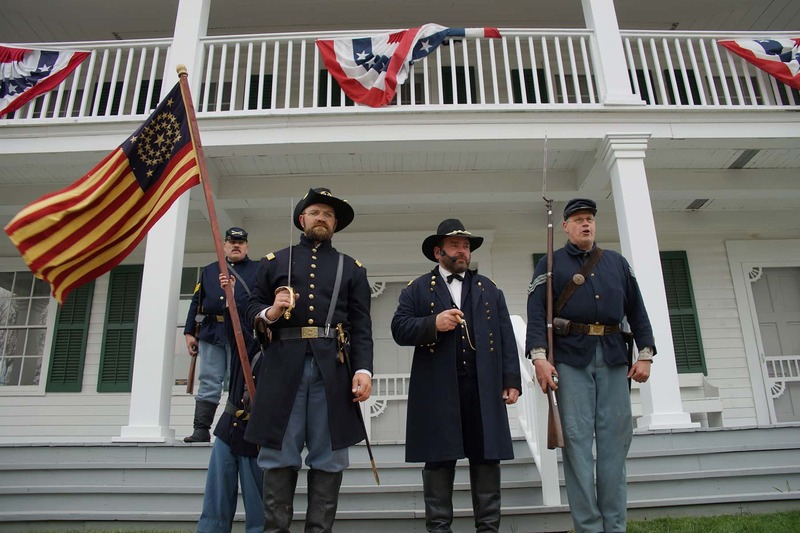 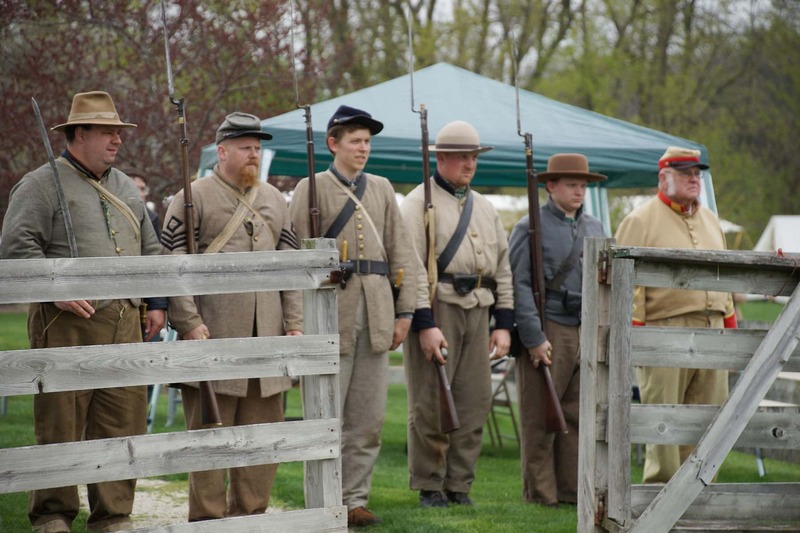 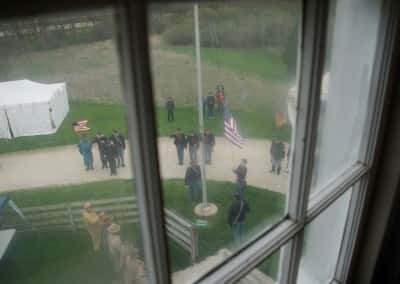 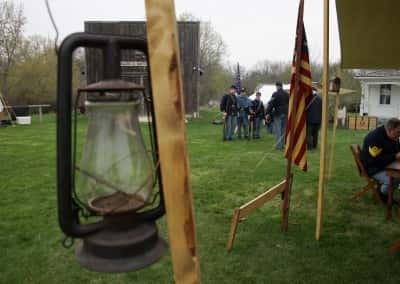 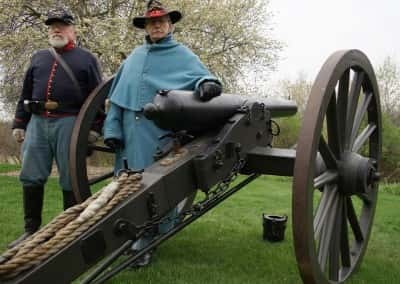 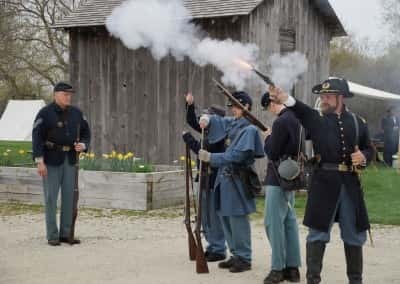 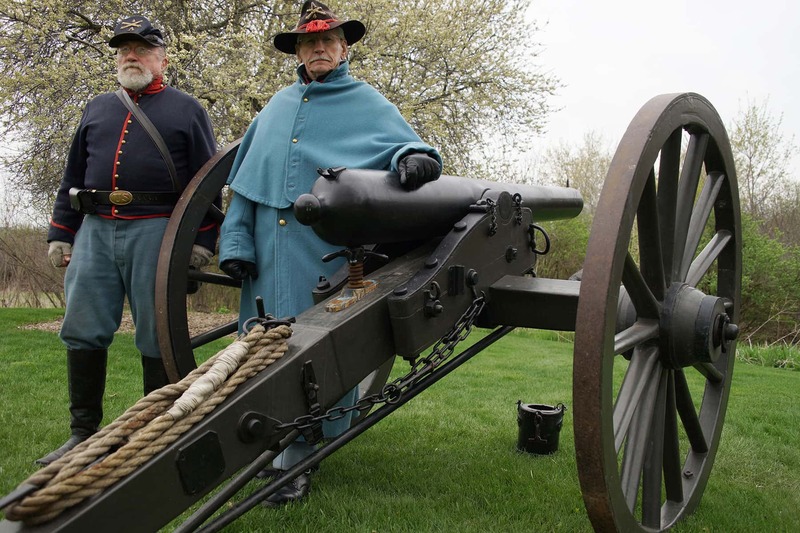 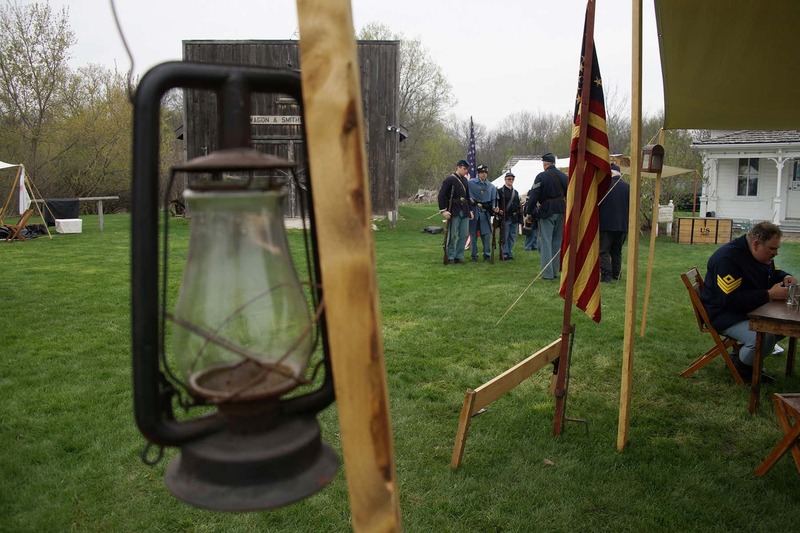 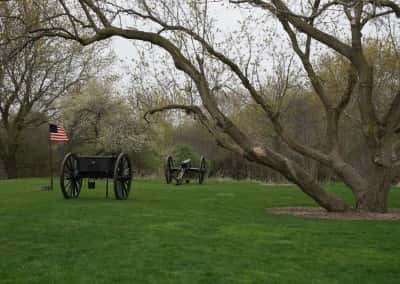 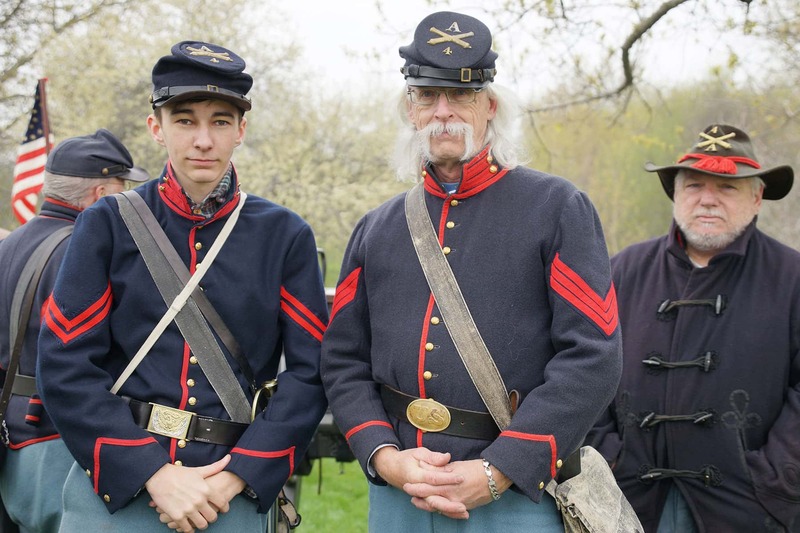 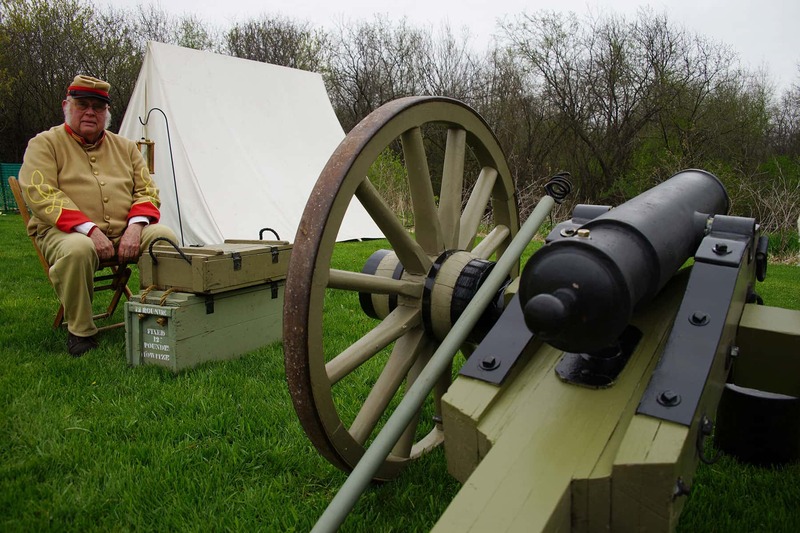 The Elmbrook Historical Society held its 22nd Annual Civil War Encampment on May 1 at the Dousman Stagecoach Inn Museum. 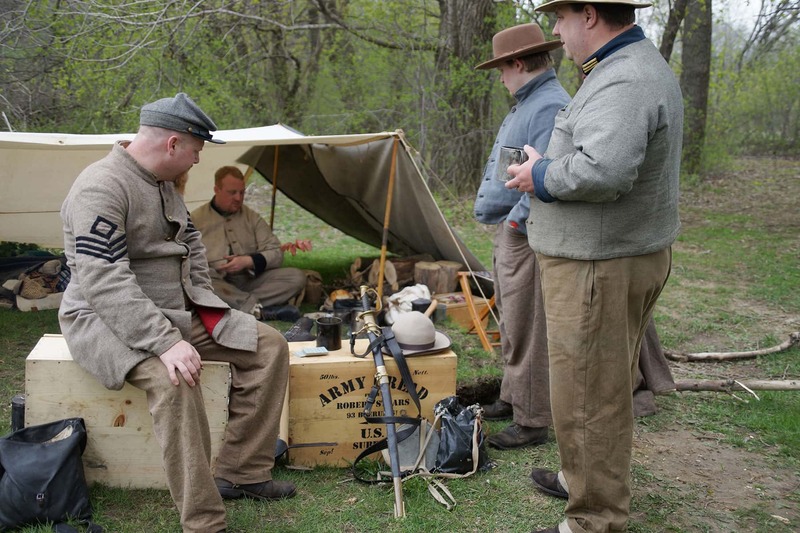 During the two day event, soldier re-enactors camped overnight on the grounds. 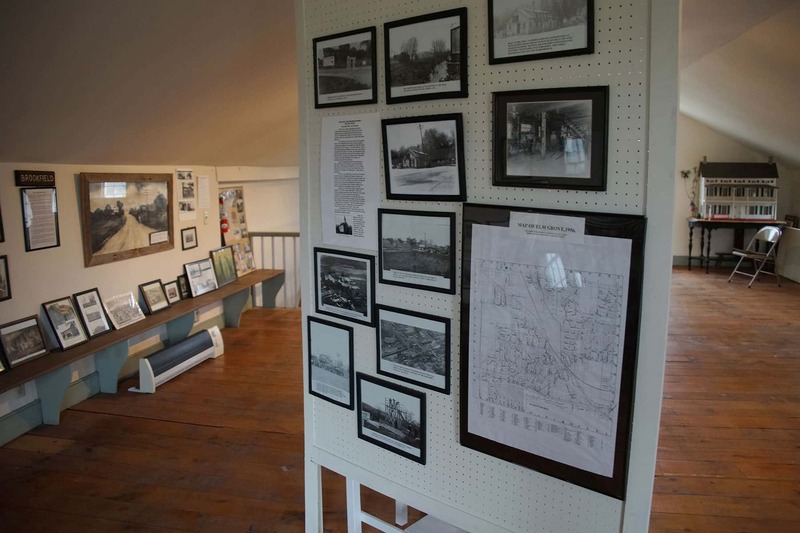 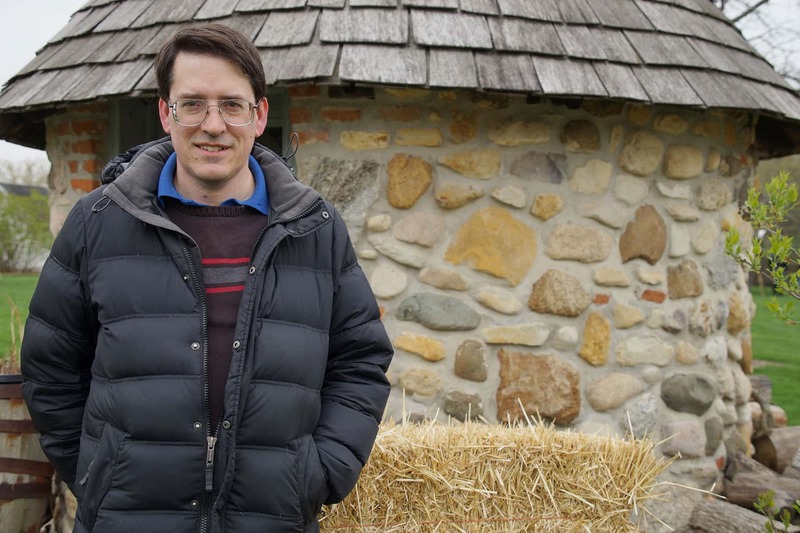 Their period campsites allowed visitors to step back in time to the era when our States fought each other. 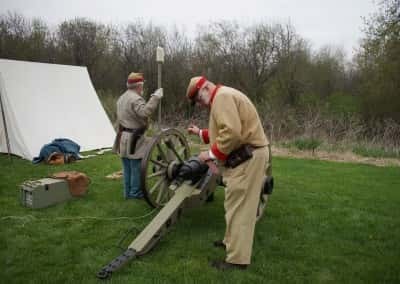 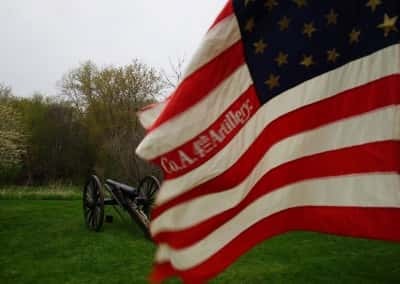 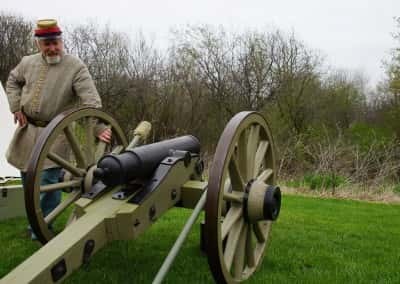 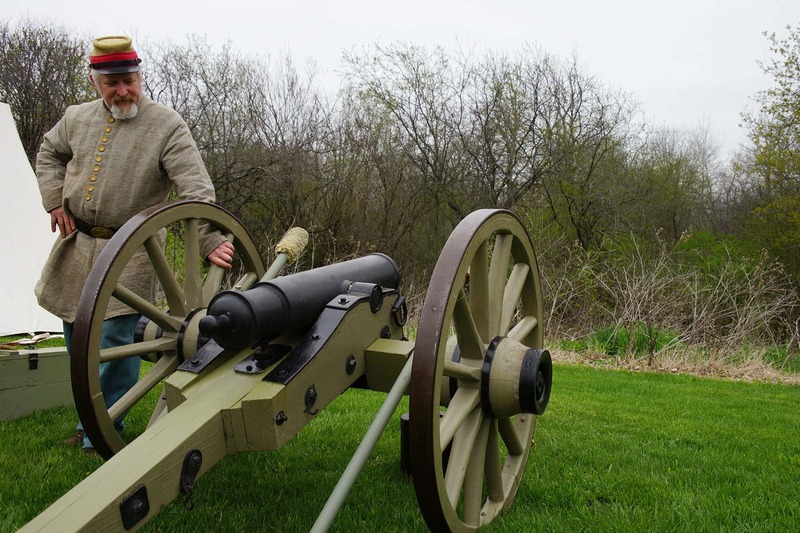 Along with tours of the Dousman Stagecoach Inn Museum, Cushing’s Battery (USA) and Pelham’s Battery (CSA) demonstrated their artillery skills by firing cannons. 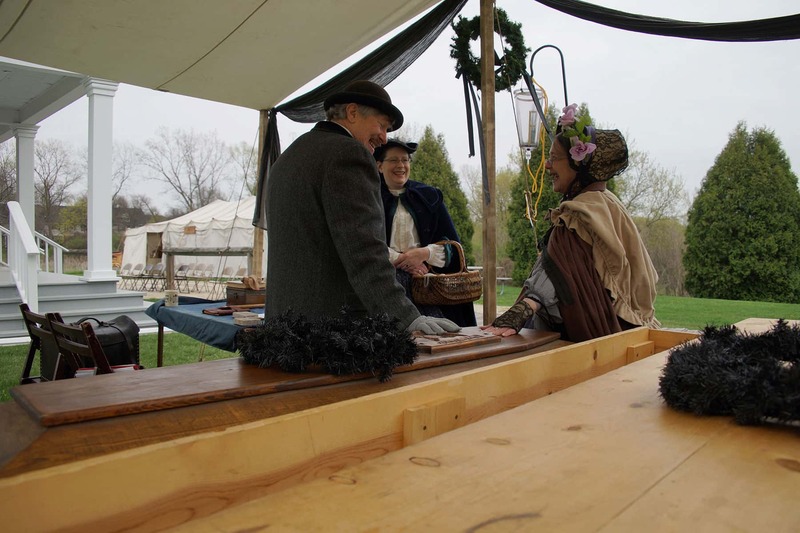 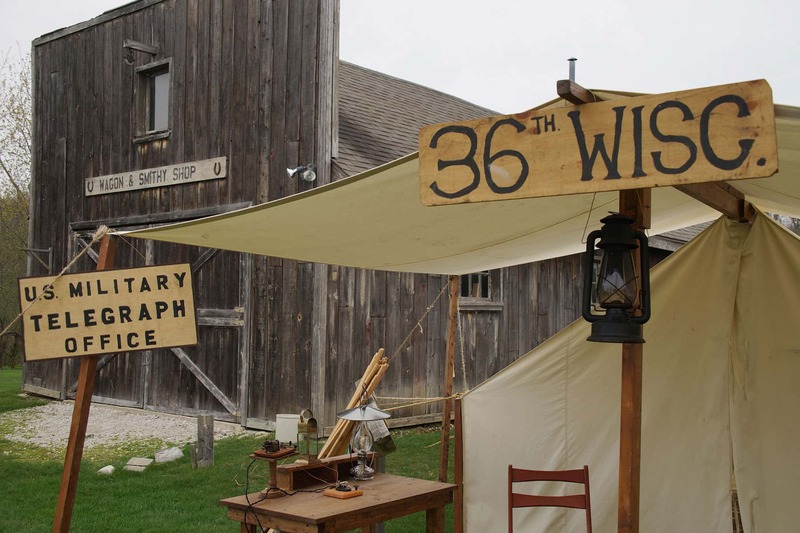 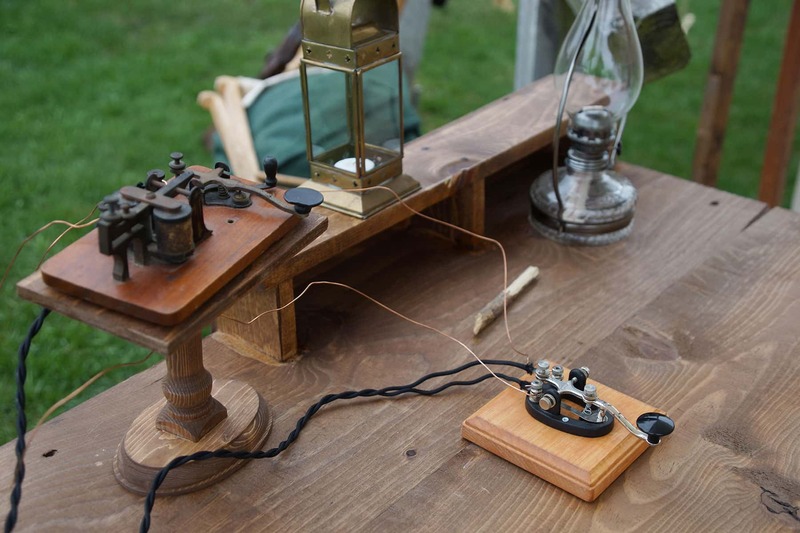 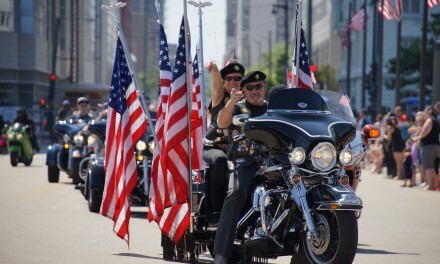 Other historical performances included a field hospital, telegraph office, blacksmith shop, and concert. 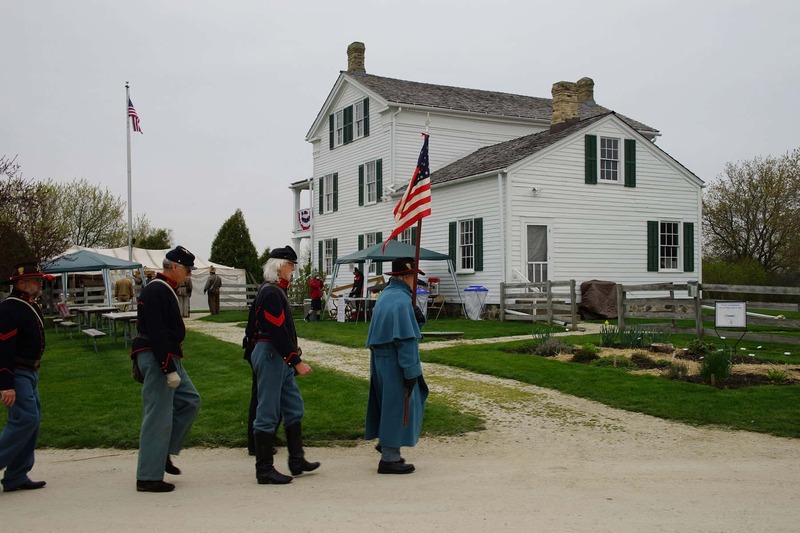 Originally built in 1842 by Talbot Dousman, the Inn once stood at the corner of Bluemound and Watertown Plank Roads. 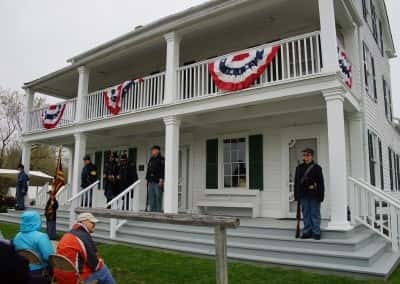 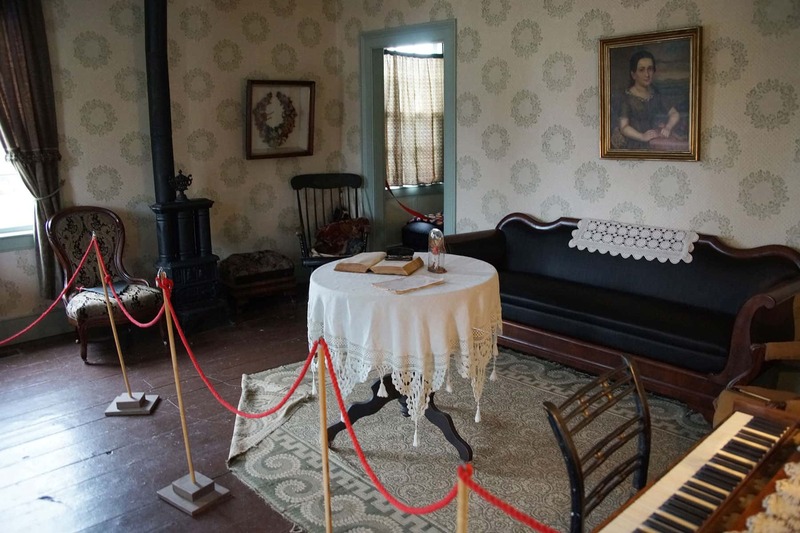 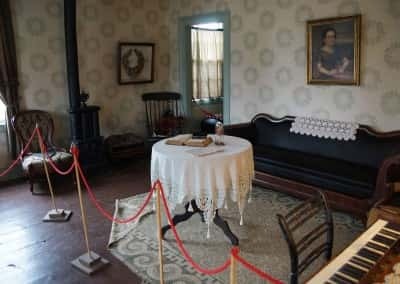 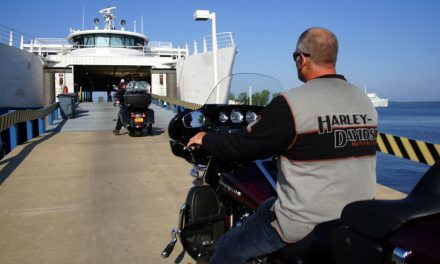 In 1857, the property was transformed as a Stagecoach Inn to accommodate travelers using the plank road that ran from Milwaukee to Watertown, Wisconsin. 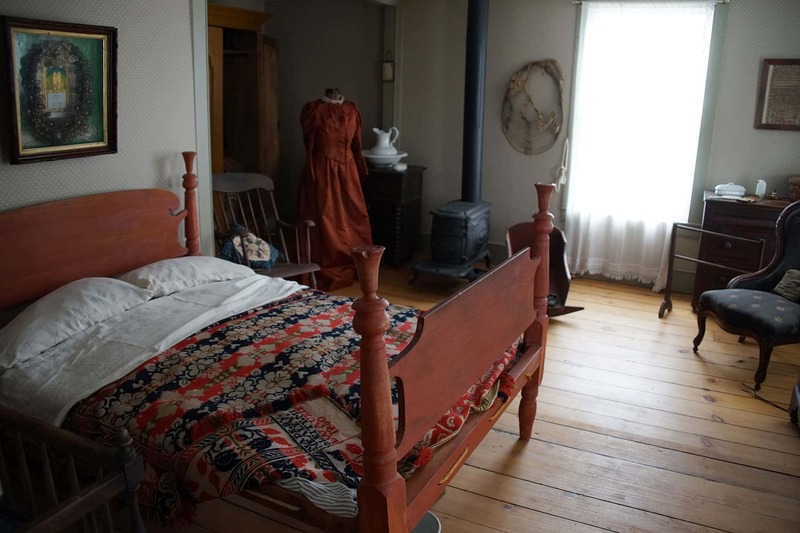 After 1875, railroads supplanted stagecoach travel and the Inn became a farm. 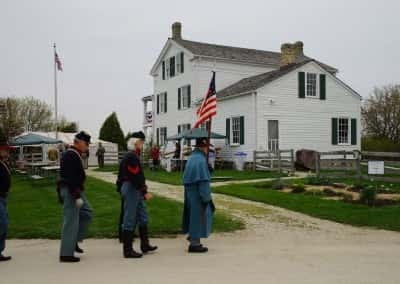 By 1980 the owners donated the Inn to the City of Brookfield who, leased it to the Elmbrook Historical Society. 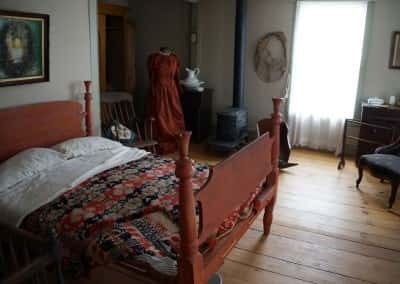 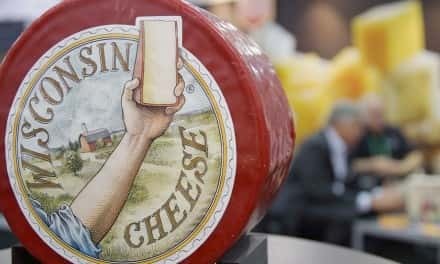 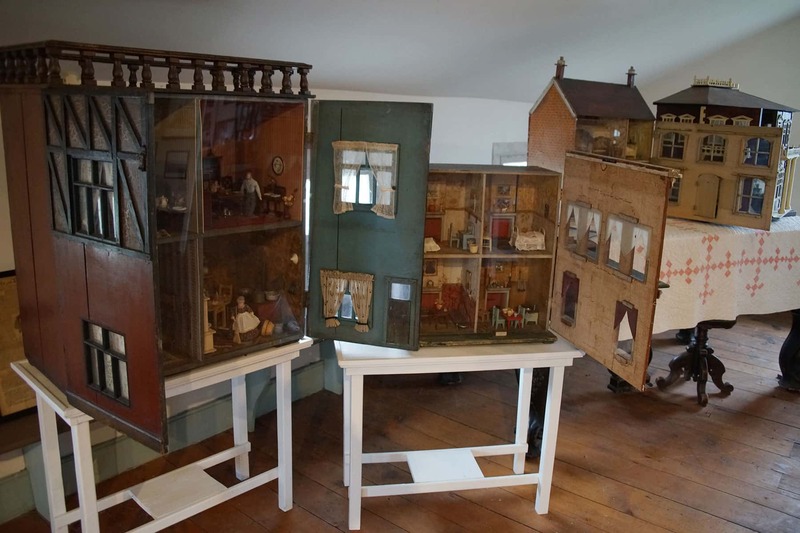 A year later the inn was moved to its current location. 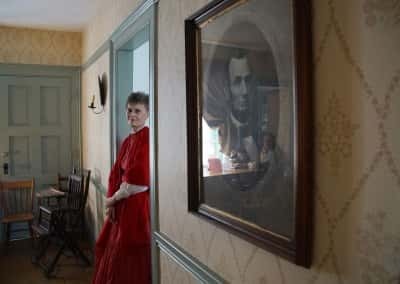 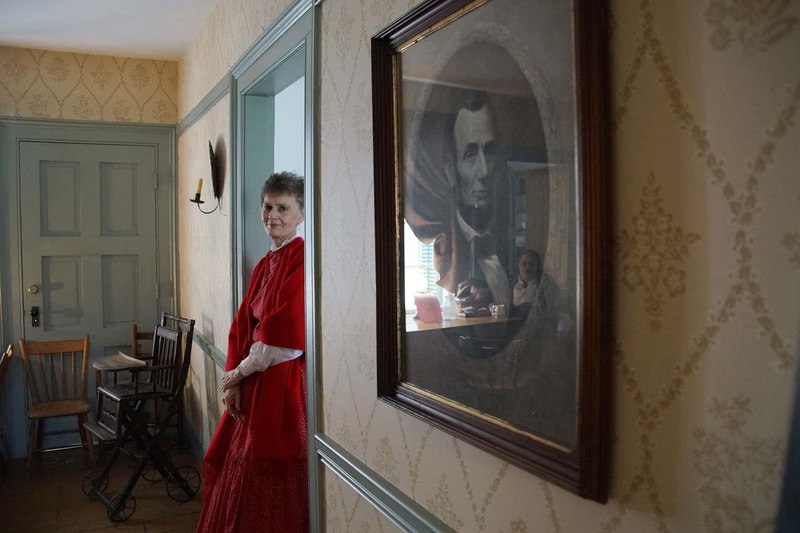 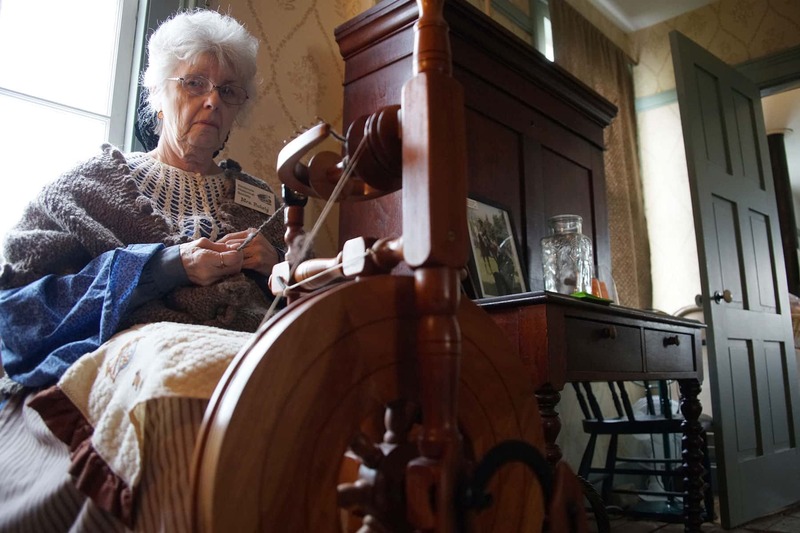 Since then, society volunteers have restored and furnished the Inn with authentic antiques to the period when it was a stagecoach inn.